Item # 310914 Stash Points: 4,995 (?) This is the number of points you get in The Zumiez Stash for purchasing this item. Stash points are redeemable for exclusive rewards only available to Zumiez Stash members. To redeem your points check out the rewards catalog on thestash.zumiez.com. 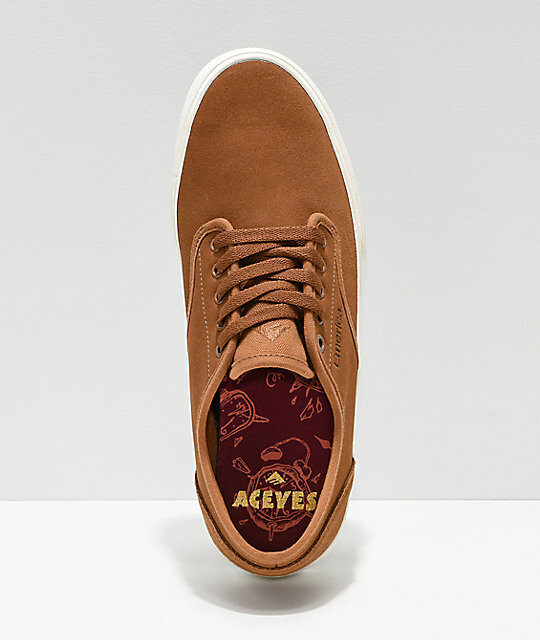 Grab some shoes that boast optimal lightweight skate performance with the Emerica Wino Standard Tan Suede Skate Shoes. 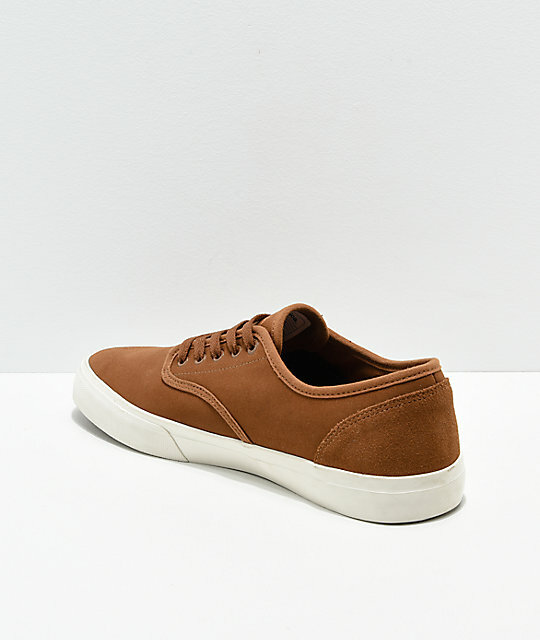 With a double wrapped vulcanized insole for board feel and internal gusset straps for a firm grip to your foot, these shoes skate excellently. 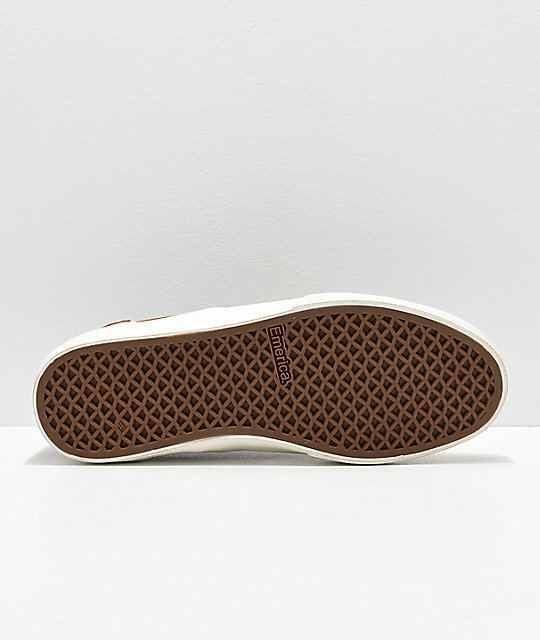 Finished with padding throughout the tongue and footbed with mesh lining, these shoes are just as comfortable through your day to day as they are throwing a kick flip off a stair set. 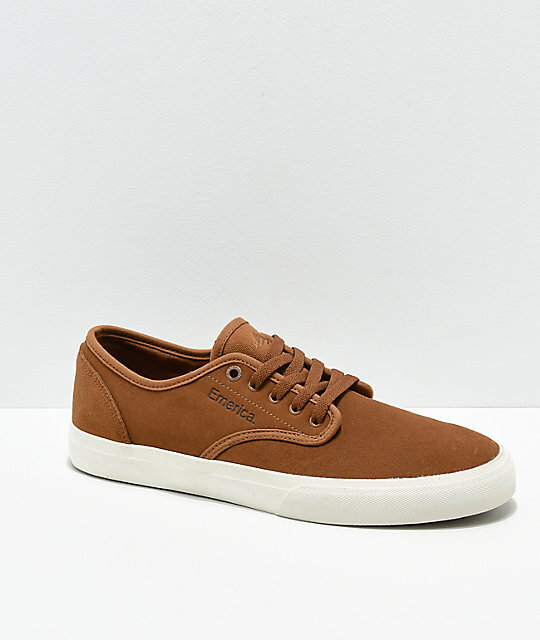 Wino Standard Tan Skate Shoes by Emerica.